Bloodborne is an action RPG (Role Playing Game) developed by FromSoftware, the creators of Demon's Souls and the Dark Souls series. 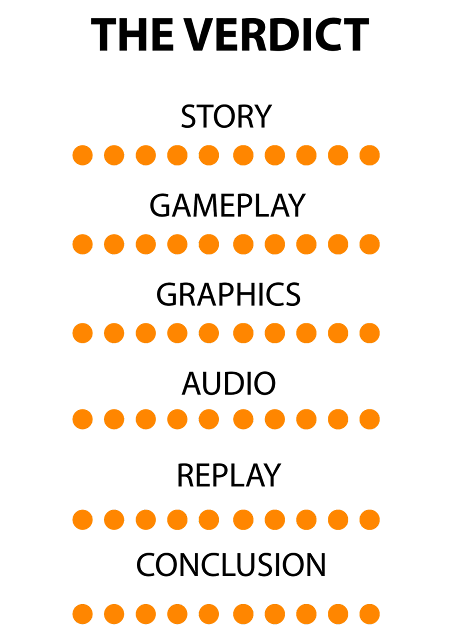 It is available as a Playstation 4 exclusive and was one of the early games available on the console. The souls (Demon's Souls, Dark Souls and the spiritual successor Bloodborne) series is known for being brutally difficult and figuring out the story is no different. In the souls games, the story is hidden from you. Every item in the game has a well-written and thoroughly thought out description that gives small bits of the story surrounding characters, places or the world itself. There is no official correct story for these games, only fan theories that the community eventually comes to an agreement on. Bloodborne is no different, it uses visual storytelling heavily and leaves you alone to think about what you see. Item descriptions are more cryptic and meaningful than ever, many words can have double meanings and are left intentionally vague to help leave details to your imagination. Cinematics and cutscenes are used to show events currently unfolding, but that is all. No real context or explanations are given to you during the events of the game and you never really know what your end goal is. You just progress forward, learning a little bit with each item you pick up, trying to piece together the mysteries behind the events you find yourself caught up in. 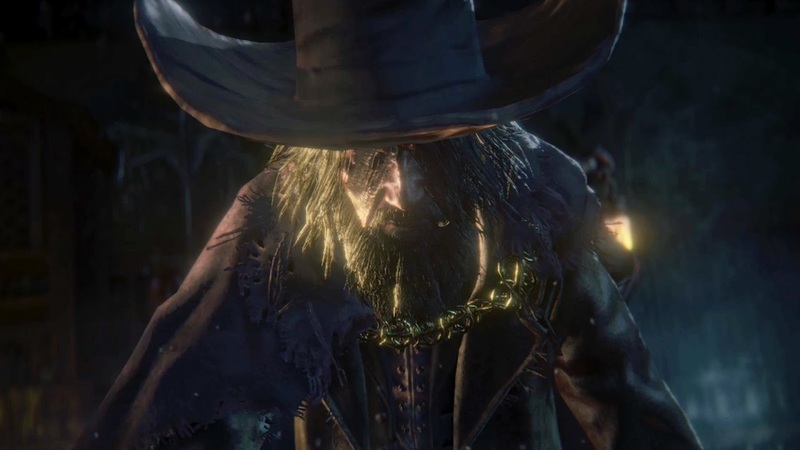 Almost everyone involved with the events leading up to the beginning of the game is dead or worse, which means there is nobody left to tell you much about what happened before your arrival to Yharnam. 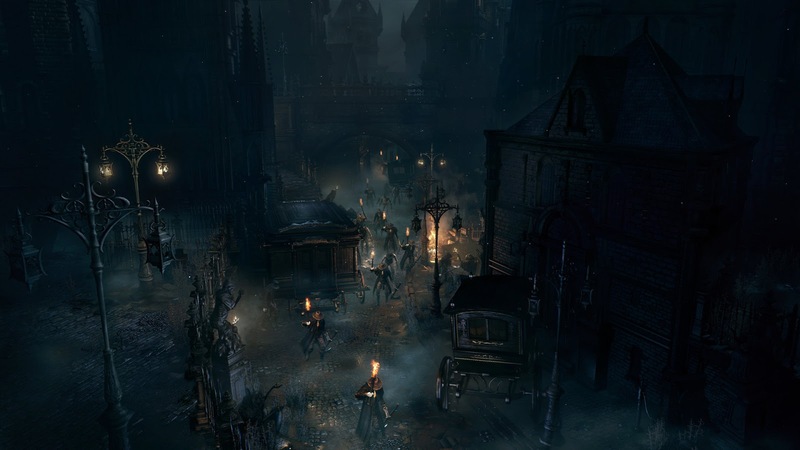 Yharnam as seen in the cinematic. 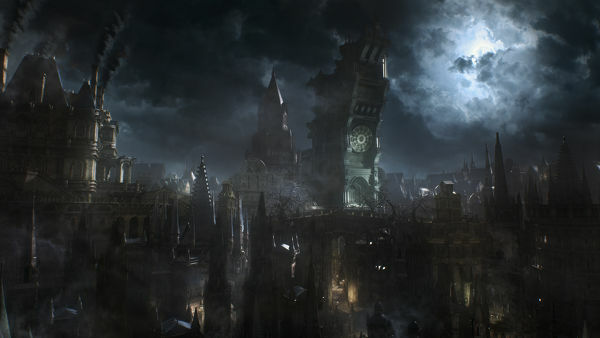 Bloodborne is set in a Victorian-style city called Yharnam. This city is known to have a miracle cure to any ailment, which is a special type of blood of unknown origin. Your character is suffering from an illness and comes to Yharnam seeking a cure. A disease has plagued Yharnam for an unknown amount of time, which turns its inhabitants in to violent beasts. This disease seems to be linked to the blood in some way. To combat this, the nightly hunt was born, where each night citizens arm themselves and purge the streets of any signs of infection. Normal men stood no match against the beasts and so the Hunters appeared. They are fast, agile fighters who wear light clothing so they can combat the beasts that roam Yharnam's streets, they employ a variety of tools and firearms to help kill the beasts Van Helsing style. They become infused with blood and use this to give themselves superhuman strength, stamina and agility. They are highly skilled and capable, but are just as susceptible to the negative effects of the blood as normal humans are. Many hunters succumb to bloodlust and become "drunk with blood", they will attack anyone on sight and become a threat to everyone around them, you will encounter many of these throughout the course of the game. The first friendly face you see in Yharnam. The game opens with you lying on a bed in a dark and old clinic with an old man in a wheelchair telling you to relax and that the blood transfusion will feel like a bad dream. You awake once again, the doctor is gone and you are introduced to your only real friends throughout your journey, the Messengers. They crawl on top of your character as if it were a bad sleep paralysis episode. You pass out again and are greeted by a werewolf rising from a pool of blood on the floor beside you, it reaches to touch you and then bursts in to flames and dies. You pass out one last time and then awake in third-person on the table and begin your journey. The only goal you are given is written on a rolled up piece of paper on the chair beside you which reads:"Seek Paleblood to transcend the hunt". After leaving the room you encounter your first enemy, a werewolf inside the clinic down stairs who is eating a corpse that looks like the doctor who gave you the transfusion. You have no weapons at this point and are hopelessly outmatched. The werewolf will kill most players with ease, which triggers a cutscene of your hunter waking up on the ground of an area that resembles purgatory called The Hunter's Dream. You are given a choice of weapons by the messengers, once chosen it's time to begin your duty as a new hunter of beasts. This will be your hub for the rest of the game where you can buy items, upgrade weapons, level up and teleport to areas you have reached. If you manage to kill the beast with only your bare hands, you get nothing and instead trigger the cutscene when you use the first lamp, which is this game's version of the bonfire (basically a checkpoint that can be teleported to once lit). Now the journey through Yharnam's beast-ridden streets begins. Bloodborne plays similarly to the other souls games. The combat is brutal and unforgiving as each and every enemy poses a very real threat to you, being able to deplete your entire health bar in two or three hits. Bloodborne takes Dark Souls combat and goes in a different direction with it, instead of planning out attacks and waiting for an opening to strike, you dash around enemies and continuously hit them until they attempt to retaliate. Enemy attacks are much faster than in the other souls games and most bosses are actually faster than your hunter and will not give you any breathing room. You are expected to react and think on your feet when in combat because any small input on the controller will cause your character to do something wrong that could get you killed. This makes the combat exciting and intense as one misstep and you'll likely die. The game is tough and lives up to the reputation of other souls games, but it is also fair. Every trap, enemy and boss have tells that give away what it will do next. Enemy tells are fast, but you will get better at recognising them and will be able to react instantly after a few hours. It's never the game's fault if you die or mess up, all of the information needed to make the right decision is given to you and any mistakes or deaths are your own fault. It's very impressive that they managed to get the balance just right as to have the game be difficult, but never cheap. Get used to dealing with lots of enemies. The controls are perfect. None of the commands are obtuse and every action involves only good timing and a single button press. Small inputs have big outcomes, which means that even the slightest twitch can cause you to mess up and die. This isn't as bad as it sounds though as it encourages forward reacting, playing defensive just makes the fight drag on and increases the chance of a screw up. As a hunter you are to keep fighting and play aggressively, which goes against everything the other souls games had to teach you. Dodges are fast and easy to follow up on with an attack, which is encouraged. Stamina is not an issue at all in this game as your hunter is light and has superhuman endurance. Dodge everything you can (or parry if you feel confident), and then attack until the enemy retaliates. You are extremely fast and agile, which means you can get behind enemies before they can even finish their attack. Take full advantage of your speed. This style of gameplay is so refreshing and unique to Bloodborne, which makes it feel unlike any other game I have ever played. Trick weapons are a new addition that most people loved (myself included). Because hunters can't afford to be weighed down by a second weapon, they need a weapon that can change depending on the situation. A trick weapon is a weapon that can transform, usually due to a mechanism, on the fly and change how you attack. The saw cleaver is my favourite weapon, in its normal form it is a folded saw attached to a handle that can be used to very rapidly slice in to enemies at close range, the second form (activated simply by pressing L1) makes the weapon quickly extend out and become a long cleaving weapon that is slower, but has a longer range. Weapons can be transformed mid swing to provide new attacks and combos to increase damage and stun enemies. An example of another trick weapon is a hammer, that has a removable handle that unsheathes a fast sword. You can quickly use transformations to sheath it to the massive head of the hammer on your back and immediately swing it and crush anything in front of you. The trick weapon transformation sounds and animations are loud, satisfying and cool looking. The most satisfying parry imaginable. Shields have been swapped out for guns instead. 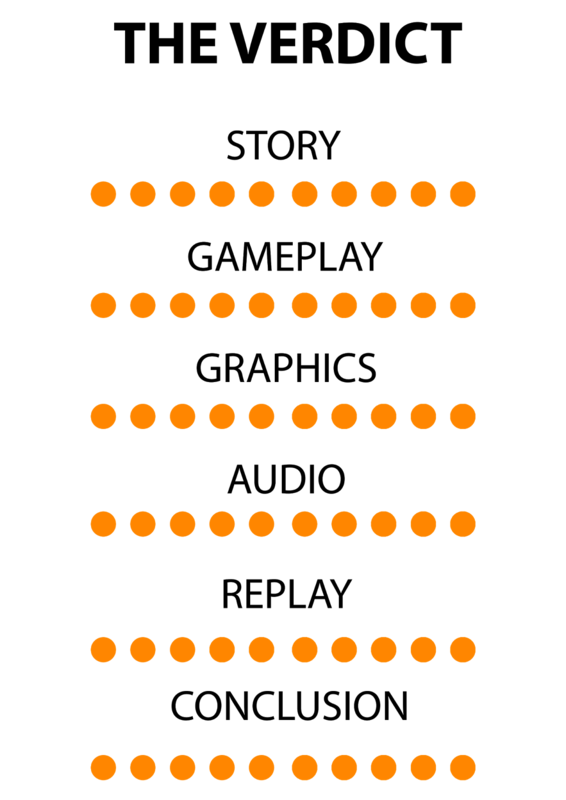 In Dark Souls you could hide behind a shield and absorb most hits easily, which eliminated the need for rolling to avoid attacks. Hunters have no need for shields as they don't need extra equipment weighing them down and the strength of beasts is too much to be blocked, if you want to avoid being hit you have to be able to dodge or parry. Parrying in this game is by far the most satisfying in the series. Instead of countering an attack with your shield and stunning the enemy for a riposte, you shoot the enemy in the face as they're attacking and make them fall to their knees. Once in this stunned state, you can carry out a visceral attack (simply press R1 while near them before they can recover), in which you shove your entire arm in to the enemy's body and rip out whatever you can grab in an explosion of blood. This is an extremely fun way to play the game as you must decide to either dodge and be safe, or risk timing your shot wrong and taking the full force of the attack.You can choose to not use guns at all and instead use a two-handed weapon or an arcane weapon, which is this game's version of magic. The only issue with this is that there is a lack of variety in weapon and armour types. All hunters work functionally the same excluding weapons, you don't have the option to become a heavy tank that can take lots of hits, a glass cannon spellcaster or a nimble and fast cartwheeling ninja character like you could in the other games. You have to be a fast and agile hunter, which is not a bad thing as hunters are extremely cool looking and feel very satisfying to do anything with, but the lack of variety is something that some people will miss. Attacking after being hit will get you most of your health back. One of the more interesting things about Bloodborne's combat is the risk vs reward factor when fighting enemies. If you are hit, your life bar will go down but you are given a small window to attack again and regain lost health by making enemy blood spray all over you, seeping in to your open wounds and healing you. If you miss the window, the health is gone and you must use a blood vial to regain it. Blood vials work the same way as estus flasks from Dark Souls do and now have a dedicated button and do not take up the same space as other items. Pressing triangle will make your hunter quickly inject a vial of blood in to their leg to regain one third of your health bar. Vials scale with your health, unlike estus flasks which can be upgraded. Most enemies will drop blood vials and they can also be purchased at the shop in the Hunter's Dream in exchange for blood echoes (Experience points), which are awarded for killing enemies and bosses. Insight (eyes on the inside) is a new resource that you earn throughout the game. It is never explained clearly what this resource does, only that you gain insight when your hunter witnesses something out of the ordinary. Walking in to a boss fight and seeing it for the first time gives you 1 insight, defeating a boss will give you 3. You can also find usable items called Madman's Knowledge scattered throughout the game, which will give you insight when used. Insight is referred to as inhuman knowledge that allows you to see the world for what it really is, and once you reach 40 insight, things start to get crazy. Suddenly the game is a different genre completely and you will likely be dumbfounded at what becomes visible. It's very, very surprising that the twists revealed through insight were kept secret until the game's release. Just like in other souls games, if you die you will drop all of your currently held blood echoes in a puddle on the spot where you died. To get your precious experience points back, you must reach the spot of your death and pick them up. If an enemy reaches them before you, you must kill them in order to reclaim your blood echoes. The enemy in possession of your echoes have glowing purple eyes, which makes it very easy to spot them in a crowd. One of the better changes to Bloodborne is that equipment load is no longer a factor and most armour provides negligible benefits. This allows you to take full advantage of the wide variety of amazing armour designs, without affecting gameplay much. You are free to make your hunter look the way you want and are not forced to switch out when something with better stats comes along. The first boss in the game, who is also optional. Now, on to the most fun part; the boss fights. FromSoftware has absolutely blown it out of the water with the bosses in this game. Never have I seen such intense and climactic boss fights that don't rely on spectacular effects, quick time events or any other gimmicks to make them memorable. Each boss has a unique, fascinating and disgusting design that will make them stick with you long after you finish the game. The designs are so good, you'll want an art book so you can look at all of the subtle and easily missed details (there is a LOT). One of my main worries was that all of the bosses would be werewolves, I was pleasantly surprised to see how the tone of the game and the types of enemies you fight change and progress. Bosses are brutally difficult if you haven't gotten good with dodging, some may take over 30 attempts. The text that appears after a boss is killed. 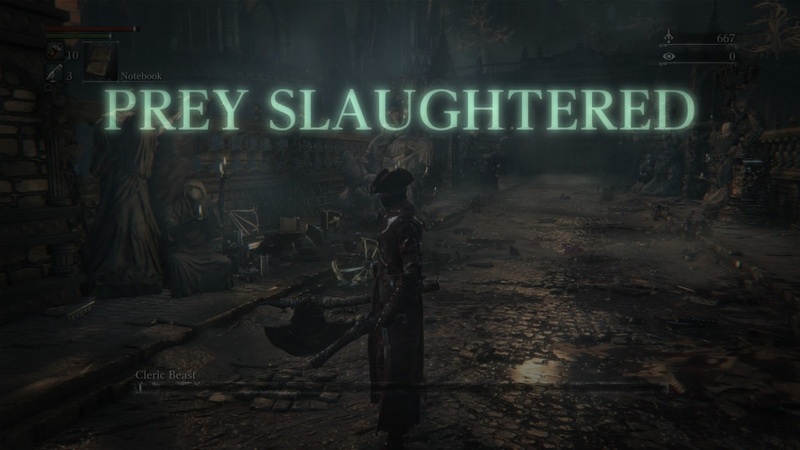 When you finally do manage to kill a boss you were struggling on, nothing beats the endorphin rush of seeing that "PREY SLAUGHTERED" text appear on the screen to reassure you that you have finally won. If you truly can't beat a boss, you can summon another player to join your game and help you kill the boss instead, which is the closest thing to an easy difficulty. This game also has online features which many new players are surprised by. When online, you can sometimes see the outlines of other players, referred to as ghosts, walking through the level in real time. They only appear for a few seconds, but it's enough to let you know that you're not the only one playing through this area. Blood stains appear on the ground where other players have dropped their blood echoes, by pressing X next to these you can see the ghost of their character being killed, but not what killed them. This can be used to spot dangerous areas and traps, or players can kill themselves in areas with no enemies to make other players paranoid. Your notebook item allows you to create short messages using a list of words, adjectives and words relevant to Bloodborne's world that can be combined to create warnings, tricks or directions towards secrets. Players can upvote or downvote player messages, which will heal the author to full health when rated. Messages can lie and you will have no way to know if there really is a hidden item found by jumping off that cliff like the message says. This adds a small bit of humor and lightheartedness to the game. The hunter and later areas visible in the distance. Graphics are not an issue at all, the game looks fantastic. 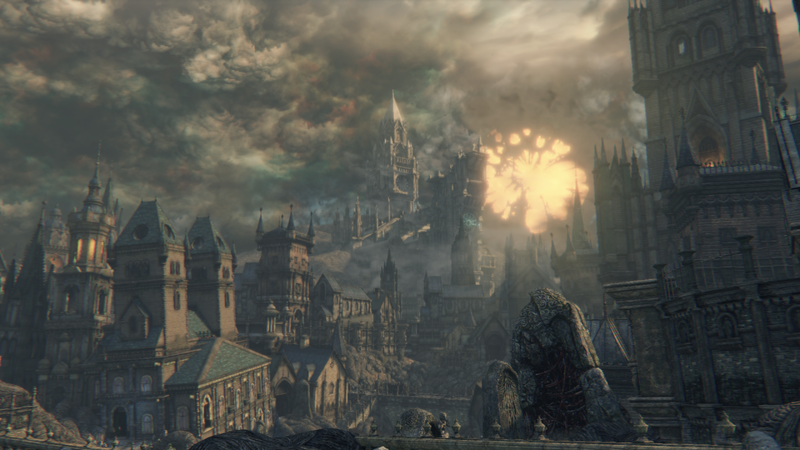 The city of Yharnam is beautiful at a distance and disgusting up close. Animations on both your hunter and enemies are top-notch, the movements look fluid, fast and smooth. Attacks look powerful and as if they have force behind them, it's one of the few games where each strike has a real impact on the enemy, they will recoil and scream in pain as you break their limbs with multiple attacks. Your armour becomes covered in a sticky and shiny layer of blood that will eventually completely cover you from head to toe. FromSoftware did a really good job at portraying a Victorian city experiencing its own version of the black plague. Chained up coffins and dead horses line the narrow, dark and filthy streets. Citizens who have become drunk with blood and are turning in to beasts themselves walk the streets in groups, ironically searching for anything they think is infected, in this case it's you. They'll attack your character and shout or scream in terror, yelling how they have found a beast. They genuinely sound afraid of you and as if they are losing their minds. Although it is not clear if your perception of reality is the correct one, based on details revealed to you later in the game, you could be the beast who is roaming the streets killing innocent people to sate your own bloodlust. It is implied as a possibility, but never confirmed or denied. As the night progresses, the sky changes from dusk to night and the bright, pale moon illuminates the streets and makes the fur of enemy werewolves glisten. The further you progress, the more distorted and menacing the sky becomes. 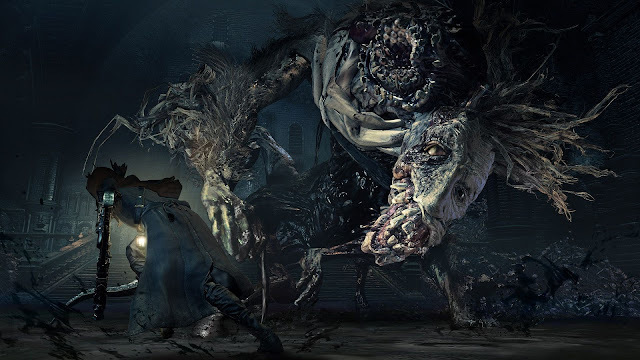 Enemies genuinely look frightening, to the point where Bloodborne could be considered a horror game. There are definitely some areas later on that are so stressful and creepy, they could compete with Outlast. One of the amazing things about this game is the level design. 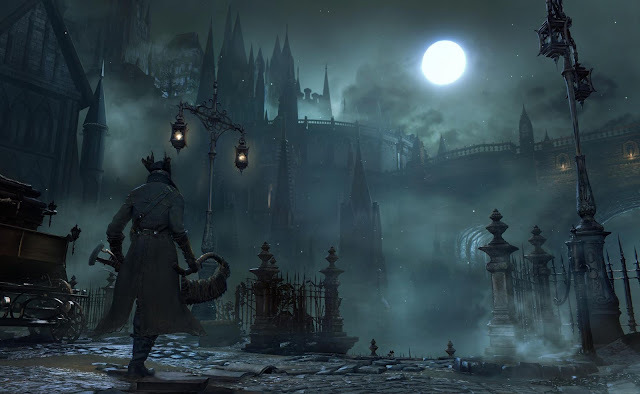 The entire city of Yharnam is one huge area that is interconnected. From the beginning of the game, you can see the areas you will visit later on and when you reach new areas, you can look down and see where you were a few hours ago. It makes the city feel real, as each area blends seamlessly in to the other without any loading screens (Aside from one or two small areas late in the game). You will find yourself wandering for a long time through the streets, with a huge stockpile of blood echoes that you could lose at any moment, you will then see a gate or a door that is unopened. When you walk through it, you will be back at the beginning of the area thanks to one of the many, many shortcuts this game has throughout. You will rarely know where a door or gate leads until you walk through and see for yourself, it is such an unbelievably relieving feeling to be back at the safety of the lamp and knowing you won't have to fight your way through the level again if you die. The sound design is fantastic, FromSoftware use stock sound effects and heavily edit them to make a completely new and unique sound. Sometimes you will be able to identify a sound used in Bloodborne in another game such as the Witcher 3, but you will be surprised at how much different it sounds. Music plays during each boss fight, while the rest of the game is usually silent with only the oddly satisfying sound of your footsteps on the cobbled streets. When a boss fight begins and the music starts, it matches the tone of the fight and never feels out of place. The music changes and adapts as the fight continues, becoming more intense as the boss becomes angrier and more erratic. The music alone can sometimes be enough to add to the stress and make you mess up, that's how good it is. Like any souls game, once you complete it you are automatically thrown in to New Game+, where all enemies have increased health and damage and you retain your level, character stats and continue on as you were at the end of the game. This can go on infinitely, but the stat increases on enemies stop after NG+7, by that point leveling up your hunter becomes pointless as after reaching the soft cap, which is around 20 in a stat, each increase will have less of an effect until you reach the hard cap at 40, where the stat no longer provides any useful benefit, but can still be increased. The difference between a level 900 character and a level 140 character is surprisingly not that much. The Old Hunters DLC area. A few months after the release of Bloodborne, the 10 hour long and BRUTALLY difficult DLC, The Old Hunters, was released. You can only access the DLC after reaching a certain point in the game, which means you have to play about a quarter way through the game just to get to it. The difficulty makes everything else in the game seem trivial and is specifically designed for people who were good enough to beat the game before. It's recommended that you start a new game completely and reach the final boss before the DLC as the enemies in The Old Hunters are also affected by stat increases brought on by NG+, which means it will be significantly more difficult. The DLC is 10 hours long, features 5 completely new boss fights with fresh and unseen mechanics, new weapons, armour, items, lore and areas. This is the highest quality DLC I have ever seen and it is a must get for anyone who enjoyed the base game. Say hello to Ludwig, the DLC's first boss. This game is amazing. Every aspect of it is fun, satisfying and impressive, you will see and feel your skill at fighting enemies grow along side your hunter's strength. You will search every nook and cranny of the areas to find secrets, items or equipment. Each boss fight and area are completely different from the last and offer fresh challenges so that the game never becomes predictable. Once you have finished the base game, you can jump in to the DLC and experience a whole new set of challenges and surprises. If you see this game on sale, buy it. Even if you think it will be too difficult, give yourself the chance to get good at it. Bloodborne was worth the full price at 70 euro. You'll thank yourself later.